24th – 26th Feb 2017. There were eight of us who came away for the weekend, Mike and Jane, Dave and Jenny Rix, Cecil and Jenny Fenwick and John and I. 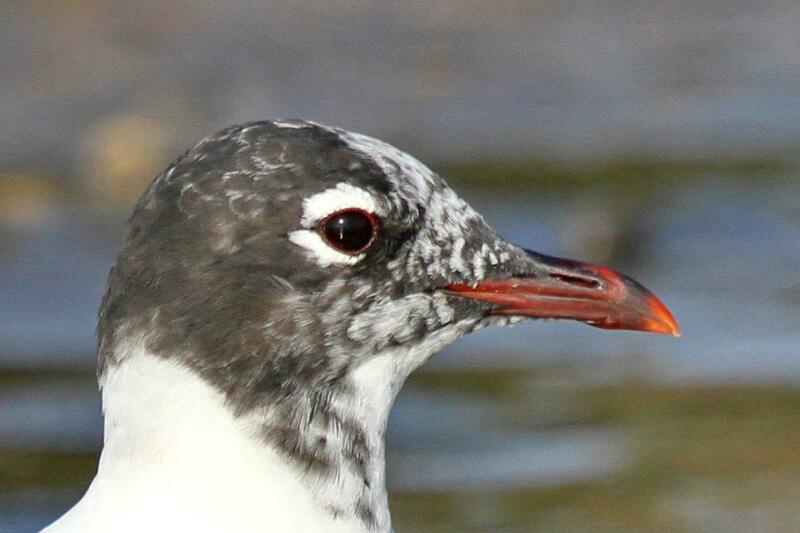 On Friday afternoon Jane, Jenny and myself went to the beach and spotted Arctic Tern and Swift Tern. As it was blowing a gale and raining that was all we managed to see. 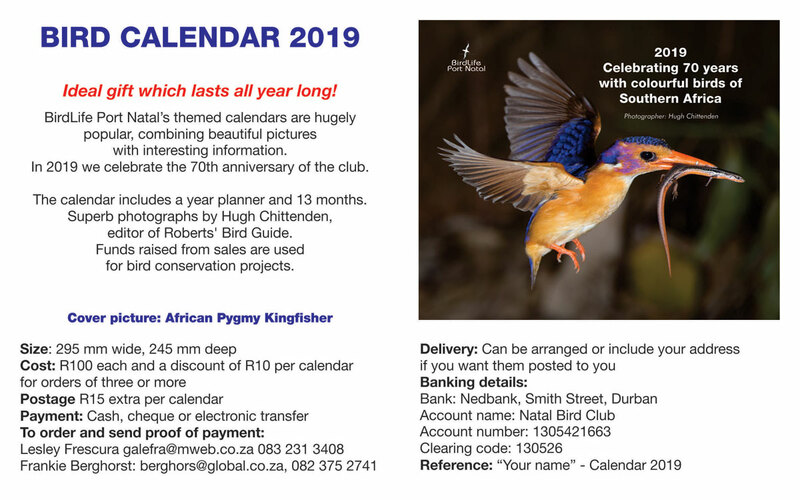 We started birding at 5:45am on Saturday morning in very bad weather and set off to Culley Dam about 8 km from TO Strand. What a beautiful venue. Stan, the farmer, very kindly opened his farm to us to bird. There were beautiful dams with a lovely bird hide. Despite the bad weather we all had fun and it did not damped our spirits. We saw a Burchell’s Coucal, White-faced Whistling Ducks, African Jacana to name a few. 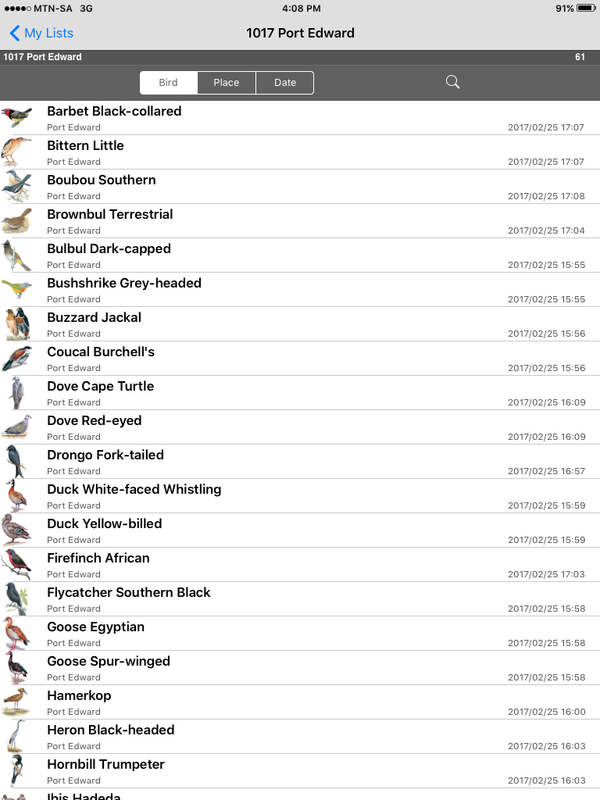 We spent roughly 2.5 hours at the bird hide then we set off to Umtamvuna Nature Reserve. We went walking in the forest, the only bird we saw was the Spotted Ground Thrush but we had a good time finding butterflies, slugs, trees and anything else that came in our path. We had tea and lunch at the reserve and managed to see a few birds in the parking lot – Violet-backed Starling, Amethyst Sunbird and a Black-headed Oriole. We enjoyed a braai in the rain huddled together under our awning. On Sunday morning we woke up to more wind and gloomy weather. Three of us set off at 7am and explored the campsite where we spotted the African Green Pigeon, Tawny-flanked Prinia and the Cardinal Woodpecker. Arriving back we enjoyed some breakfast and broke camp even though the weather was bad we managed to pick up 61 birds throughout the weekend. 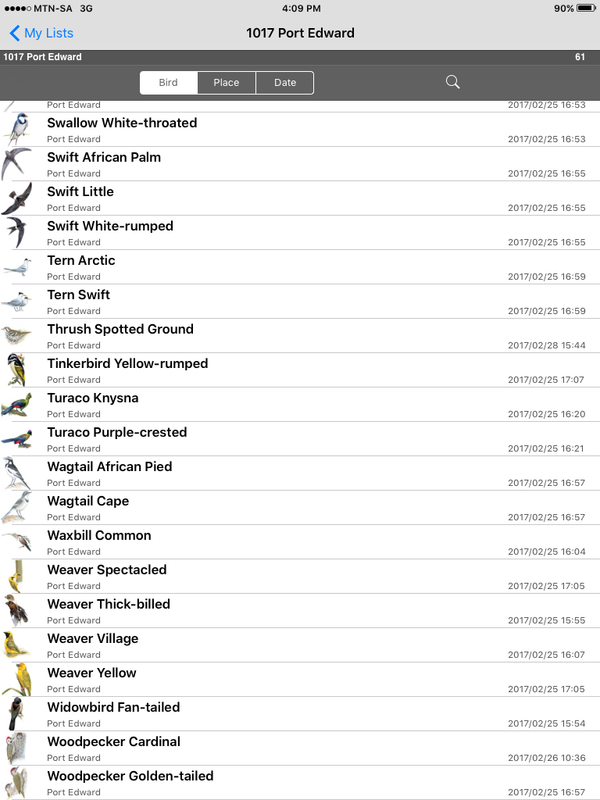 The bird list is shown on three separate pages. Click here for page 1, here for page 2 and here for page 3. Sorry none of us got any good photos as the wind and rain did not allow it. A good time was had by all. 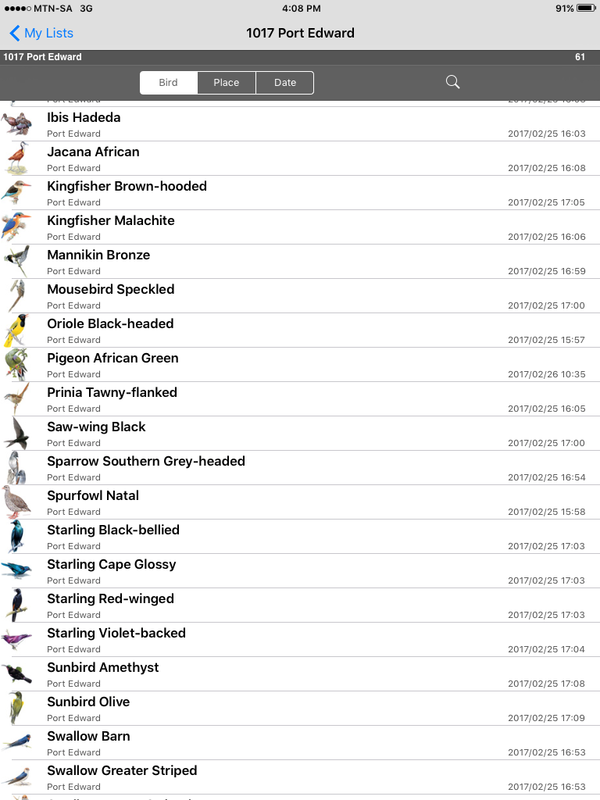 This entry was posted in Activities, Home, Posts, Reports and tagged Port Edward, TO Strand. Bookmark the permalink.